Courtesy of the Pittsburgh Renaissance Festival. Calling all knights, maidens, pirates, princesses, and wizards for a celebration of the sights, sounds, tastes—and even the smells—of the great Renaissance, all without leaving Southwestern PA.
Back with even more magic, music and merriment than ever—and loaded with events and activities spanning six summer weekends—the one-of-a-kind Pittsburgh Renaissance Festival will animate West Newton, PA from August 20 through September 25. 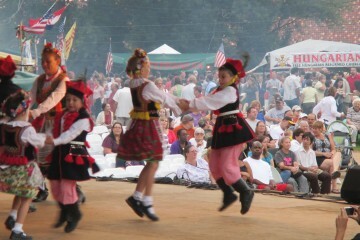 A regional family favorite, the festival brings to life the rich and enduring arts, culture, cuisine, recreation, politics, and inventions of the history-altering period from the 14th to the 17th century. 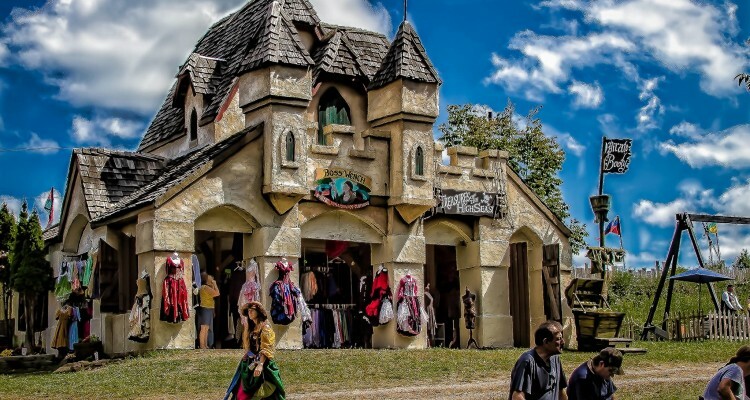 Festival-goers can meander along village streets and paths, enjoy encounters with the royalty and peasantry of Tudor England, watch artisans demonstrate ancient crafts, savor aromas of steak on a stake and baked breads, and interact with hundreds of authentically costumed merrymakers throughout the site’s village and stages. The month kicks off with the “Adventure to the Past” opening weekend on August 20 and 21. Visitors will help roll out the royal welcome mat for King Henry and Queen Katherine’s auspicious arrival at the castle, greet an all-new cast of villagers, witness thrilling jousting exhibitions, and much more. Families won’t want to miss Children’s Weekend—dedicated to young lads and lasses ages 12 and under—taking place September 3-5. The family fun boasts pirate, princess, and prince parties, costume contests, knighting ceremonies, selfles with the king and queen, and medieval games and rides. This year’s extensive entertainment features all manner of Renaissance revelry and interactive theater, with something to please festival veterans and rookies alike. Performers include: The Knights of Noble Cause, Righteous Blackguards, Washing Well Wenches, Plunder Doggs, The Renaissance Vaudeville Show, Tribal Fusion Belly Dance Group, King’s Piper Extraordinaire, and many others. Jousting at the Pittsburgh Renaissance Festival. 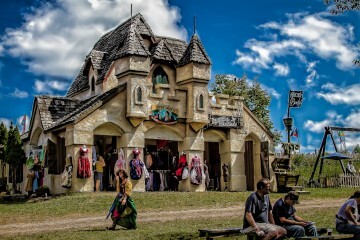 Image courtesy of the Pittsburgh Renaissance Festival. 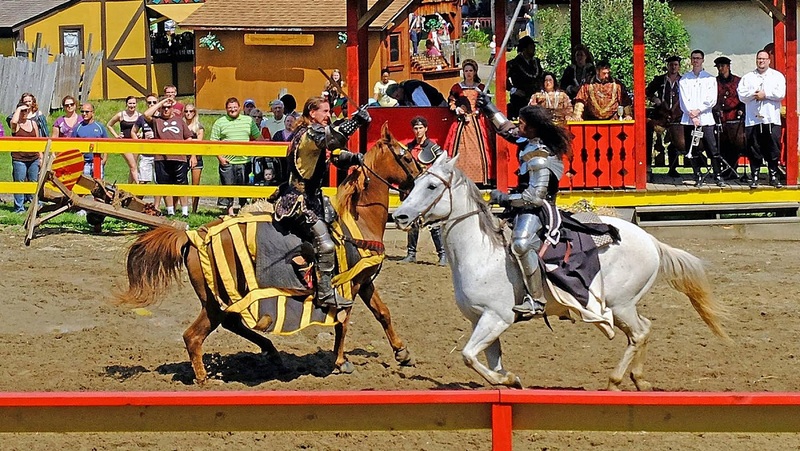 Experience the thrill of noble chivalrous knights during jousting competitions and equestrian demonstrations, watch in awe as Ye Klass Klowne performs fire, circus and juggling acts, and see The Duelists display their unrivaled sword-fighting skills. Be mesmerized by the carillon, a rare medieval instrument made of four tons of bells, and listen to wise and humorous tales weaved by master storyteller Temujin Ekunfeo. Shop for Renaissance keepsakes in the Artisans Marketplace, which features 100-plus vendors selling handmade jewelry, clothing, costumes, artwork, weapons, pottery and more—along with live blacksmith and glassblowing demonstrations. 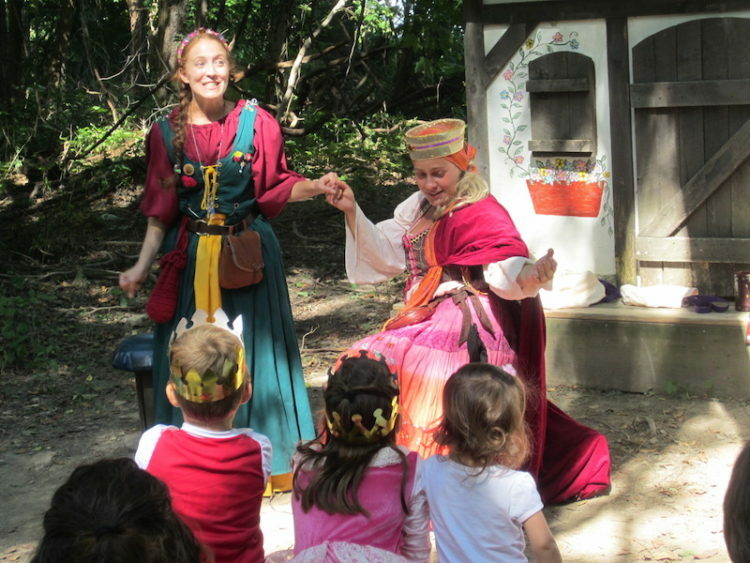 Additional themed weekends for 2016 include: Celtic Fling (August 27 & 28); Wine Revelry (September 10 & 11); Pirate Invasion (September 17 & 18) and Oktoberfest (September 24 & 25). The rain or shine festival is located off of I-70 just six miles west of New Stanton and 40 minutes from downtown. Festival hours are 10:30 a.m. to 6:30 p.m. Free parking is available. View admission prices, a complete schedule and a festival map. The festival is free for ages 5 and under.